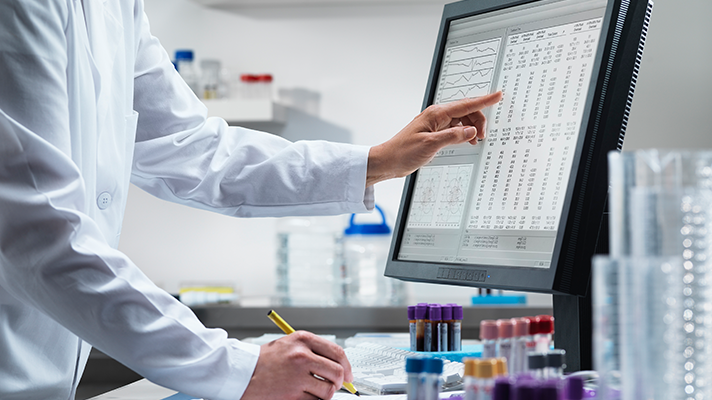 Electronic health records are very good at being repositories for valuable patient data. But they need help when it comes to putting that data to work for more innovative care delivery. The ever-expanding volume and variety of clinical and social-determinant factors will require more advanced technologies to be optimally harnessed for precision medicine. Enter AI and machine learning, which "will play a growing role in healthcare, under two main categories – generating knowledge and processing data," said Auckland, New Zealand-based Kevin Ross, who will speak next month at HIMSS19. Ross is general manager at Precision Driven Health, launched as a partnership between Orion Health (where he is director of research) and government agencies and academic organizations in New Zealand to explore and promote precision medicine. He sees machine learning as a key enabler in the years ahead as health systems look to unlock the data and in their EHRs and put it to work for more personalized care. "Health records have been electronic – and therefore accessible for analysis – for a relatively short period of time, but we are now seeing huge volumes of data being generated from different sources," he explains. "We've had insufficient computational power to process the volume of data in a genome, let alone a microbiome, etc. until fairly recently." The advent of AI and machine learning opens new avenues for healthcare wisdom to be accrued. Medical research has traditionally come through "targeted studies on narrow subsets of the population," he said, "now we can analyze over large populations in relative real time, because the data is being collected digitally. New knowledge will come about by applying machine learning to these increased data sets to uncover patterns that are occurring today without being noticed." In Orlando, Ross will explain how he and other researchers are making the most of some unique aspects of New Zealand's healthcare landscape – connected electronic healthcare data across the population, leading-edge research organizations – to enable the development of new technologies and data strategies for precision medicine. All that, plus the fact that New Zealand has a smallish population (fewer than 5 million people) means that "research is more likely to be population wide rather than highly specialized," said Ross. From that remote corner of the globe to other health systems worldwide, he sees a big future ahead for AI-enabled EHRs – enabling a fast evolution for precision medicine. "Machine learning can be used to aid intensive tasks such as processing large data sets for genomics, image processing or network analysis, as well as finding anomalies – such as for diagnosis or fraud detection – and identifying cohorts," he said. "There are interesting applications in maintaining records such as matching data from different systems, inferring missing data elements." And as the evolutions continue apace, what should health systems who have already begun AI implementations be doing to ensure they're making best use of machine learning in their workflows? "Design systems with a view to interoperability and data sharing," said Ross. "Use standards, build tagging into systems. And make it easy for patients to control the use and sharing of their data, and see the benefits from it." In addition, he advised health systems to make the most of all the data they have on hand: "Even 'dirty' data can have incredible predictive value," he said. "Don't wait for perfect data to start using it." Ross' presentation, "Machine Learning Over Our Growing Electronic Health Records," is scheduled for Wednesday, February 13, from 2:30-3:30 p.m. in room W308A.